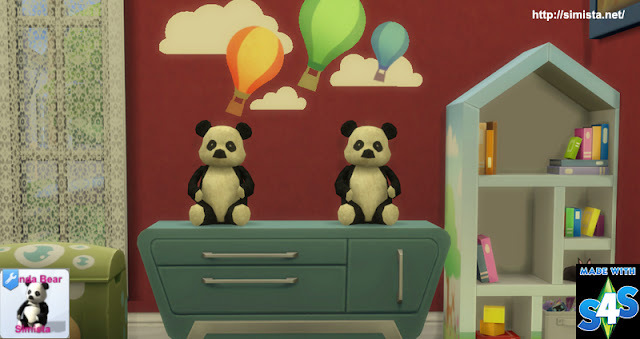 I was making a shelf and the pic had a Panda on it, so I thought yeah good Idea. 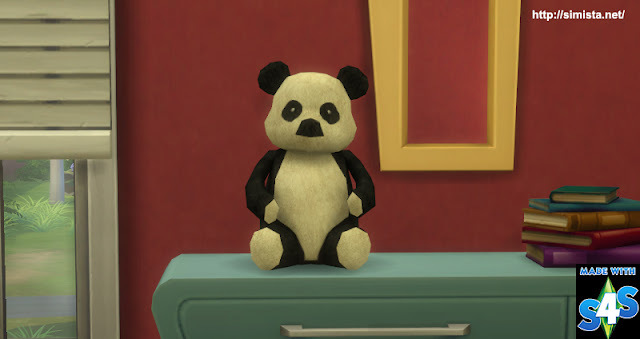 It's a mesh edit and a re-texture of The Lots of Love Bear that is in the game. It's sitting next to it in kids toys.